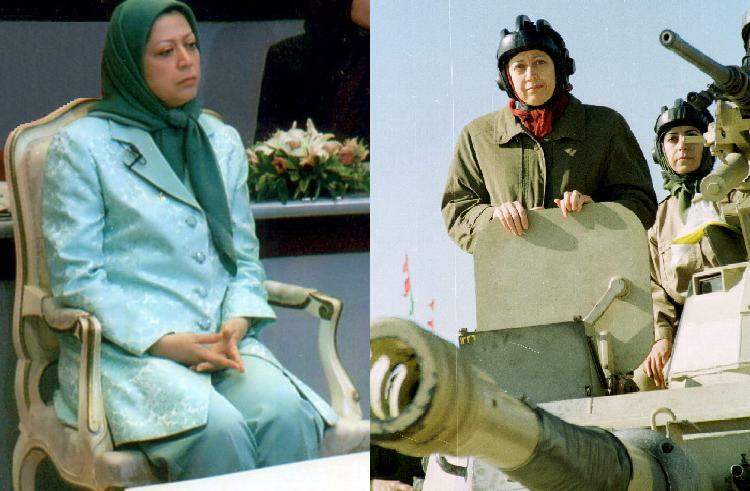 While former members of the Mojahedin-e Khalq terrorist cult are pursuing a class action against Massoud and Maryam Rajavi's assets to claim compensation for the victims of the group, the mayor of Khalis in Iraq is pursuing a similar action in his province. Once the UN have successfully moved the MEK from Camp Ashraf to the temporary transit camp, Camp Liberty, property confiscated from the terrorist group by the Iraqi authorities will be sold and the money used to help the victims of MEK terrorism in Iraq and to recompense local farmers for the land and property stolen from them by the MEK over the past three decades. The mayor of Khalis, Uday al Khaddran, told media, "the property at the camp includes types of saloon cars and transport, buses and tanks as well as engineering equipment and generators of different sizes and large private halls, as well as electrical appliances and cooking utensils and the types of audio devices, photography, types of medical devices for hospitals". The mechanism for the sale must take into account recompense for the Iraqi people who suffered under the former regime he stressed. The United Nations and the State Department have been struggling to convince the Iranian exile group the Mujahedeen e-Khalq (MEK) to move to a former U.S. military base in Iraq, but the real need is for third countries to accept MEK "refugees" on a permanent basis, according to the top U.N. representative in Iraq. The MEK is a State Department-designated foreign terrorist organization opposed to the Iranian regime that has been living in a closed compound in Iraq called Camp Ashraf for years. The Iraqi government has pledged to close Camp Ashraf, using force if necessary, so the U.N. and the State Department are slowly but surely cajoling Ashraf's 3,200 residents to move to Camp Liberty, a former U.S. military base near the Baghdad airport. But that's only a temporary solution. Unless other countries start accepting MEK members for relocation, they could face the prospect of being returned to Iran, where they could face retribution from the Iranian regime they have been fighting for decades. "I have the feeling that the Camp Ashraf residents have made peace with the idea to go to Camp Liberty and they've made peace with the idea that there is no future in Iraq and they will leave Iraq," Martin Kobler, the head of the United Nations Assistance Mission for Iraq (UNAMI), told The Cable. But finding homes for the MEK members when they leave Iraq "is the most difficult part of the story," he said. "The whole process only will succeed if all the 3,200 find countries who will take them into their borders." The U.N. held a resettlement conference on March 27 in Geneva and the response was "not overwhelming, to say the least," Kobler said. Part of the difficulty of dealing with the MEK group members at Camp Ashraf is that they have been cut off from the world for years and little is known about their individual histories or whether they would qualify for refugee status. 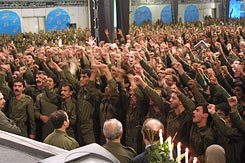 Some reports say that MEK members are still conducting violent attacks inside Iran at the behest of the Israeli government. The United States is legally barred from accepting any refugees from members of a foreign terrorist organization. There is also no plan for what happens to those MEK members who do not qualify for refugee status. "We will find a solution then," Kobler said. "Everybody has Iranian nationality and on a voluntary basis can go back to Iran... The question is what happens to them then." Kobler disputed the claims made by the MEK and its long list of American advocates that the Camp Liberty site is not fit for human occupation. "Camp Liberty is a place where 5,500 American soldiers lived for many, many years... What worked for 5,500 people should also work humanitarian wise for 3,200 Camp Ashraf residents," he said. Kobler declined to comment on reports that the MEK is involved in ongoing attacks on the Iranian nuclear program and its personnel inside Iran. He also declined to confirm that U.N. reports have stated that MEK members were intentionally sabotaging the facilities in Camp Liberty in order to make the camp look worse than it is, saying only, "There were big initial difficulties and a lack of cooperation. However this has improved over the last weeks." Some advocates of the MEK, including former New York Mayor Rudy Giuliani, have called Camp Ashraf a "concentration camp," a reference Kobler said is insulting and offensive. "I am a German citizen. To compare the situation of Camp Ashraf residents to the systematic extermination of European Jews during Nazi dictatorship, this is not only historically totally absurd but is an insult to the victims," he said. "My message to these supporters is, spend your energies not so much on attacking the United Nations or others. Spend your energies to convince your governments to take them into your countries," he said. While in Washington, Kobler met with Deputy Secretary of State William Burns, Assistant Secretary of State for Refugees, Population, and Migration Anne Richards, and Ambassador Daniel Fried, the State Department official in charge of the Camp Ashraf issue. The United Nations top envoy in Iraq today voiced his concern about the delay in the relocation of the residents of Camp New Iraq – formerly known as Camp Ashraf – to a new location, Camp Hurriya, prior to resettlement in third countries. “I call on the Government of Iraq to avoid any forceful relocation. Each relocation must be voluntary. The United Nations supports only a peaceful, humanitarian solution and stands ready to facilitate,” he added in an UNAMI statement. The Mission added that the relocation to Camp Hurriya has been stalled since the arrival of a fifth group of residents on 5 May. Camp New Iraq – made up of several thousand Iranian exiles, many of them members of a group known as the People’s Mojahedeen of Iran – has been one of the main issues dealt with by UNAMI for more than 18 months. In line with a memorandum of understanding signed in December 2011 by the UN and the Iraqi Government to resolve the situation, some two-thirds of the residents, or 2,000 people, were re-located to a temporary transit location near Baghdad known as Camp Hurriya – and formerly known as Camp Liberty – where a process to determine refugee status is being carried out by the Office of the UN High Commissioner for Refugees (UNHCR). UNAMI added that the relocation process has come a long way since February 2012. Two thirds of the residents have already moved to Camp Hurriya, prior to resettlement abroad. Among them are hundreds of people with special needs, suffering from disabilities and serious medical conditions. “I also urgently call on States to include residents who are eligible for refugee status in their resettlement quotas and to offer them a path to a more hopeful future outside Iraq,” Mr. Kobler said. UNAMI staff monitor the human rights and humanitarian situation during the relocation process and provide round-the-clock human rights monitoring at Camp Hurriya. Under the memorandum of understanding from last December, the Government of Iraq is responsible for the safety and security of the residents during their relocation and for the duration of their stay at the camp. The United Nations has welcomed today's safe relocation of about 400 residents of the Iraqi settlement formerly known as Camp Ashraf to a new transit centre elsewhere in the country, calling it “the first step towards a better future” for the residents, who are Iranian exiles. The 400 people who voluntarily relocated today – the first to do so – now reside in Camp Hurriya, a temporary transit location, according to a press release issued by the UN Assistance Mission for Iraq (UNAMI) in Baghdad. The UN High Commissioner for Refugees (UNHCR) will immediately start the process of verification and refugee status determinations, a key step in preparing the submissions of eligible candidates for resettlement in third countries. Today's relocation is in line with the memorandum of understanding signed in December by the UN and the Iraqi Government to resolve the situation facing the residents of Camp New Iraq (formerly Camp Ashraf), who are members of a group known as the People's Mojahedeen of Iran. Martin Kobler, the head of UNAMI and the Secretary-General's Special Representative for Iraq, commended the 400 or so residents for their decision to move to Camp Hurriya. He urged other Member States to confirm that they are ready and willing to accept eligible candidates from Camp Hurriya who want to resettle in third countries. After decades of dictatorship followed by invasion and conflict, Iraqis began this year with a chance to build a peaceful future. If not managed carefully, however, a lingering issue from the past could stain this moment of opportunity with tragedy. I am referring to the situation of Camp Ashraf, where a tense standoff has persisted between the government of Iraq and an Iranian opposition group, the Mujahedeen-e Khalq (MEK), which for the last 25 years has occupied a self-enclosed camp only a few hours drive from Baghdad. The government has made it clear that it wants Camp Ashraf shut down and MEK — which once fought alongside Saddam Hussein and is designated by the United States and some other governments as a terrorist organization — to leave Iraq. Baghdad sees its presence, in a place which is off-limits to the government, as an affront to national sovereignty. At the same time, there are very real concerns about what closing this camp would mean for the human rights, safety and welfare of the approximately 3,400 residents of Camp Ashraf. The United Nations strongly shares these concerns, which have been underscored vocally by the group’s supporters internationally, among them a number of U.S. and European officials and former officials. There should be no confusion about the stance of the United Nations. We support only a peaceful, humanitarian solution for Camp Ashraf. We have been working hard to facilitate such an outcome — one that both respects Iraq’s sovereignty and provides the people of Camp Ashraf with a safe and voluntary path to a more hopeful life outside of Iraq. When the Iraqi government announced late last year that it would be closing the camp by Dec. 31, the U.N. secretary general, Ban Ki-moon, spoke with Prime Minister Nuri al-Maliki to ask for more time for negotiation. Many feared a repeat of the violence of April 2011, when dozens of Ashraf residents were killed in clashes with Iraqi security forces at the camp. The United Nations welcomed Mr. Maliki’s decision to extend the deadline until April. We have carried out an exhaustive and impartial diplomatic effort since then, with the support of the United States and the European Union, to encourage a peaceful solution. We have gone the extra mile to consult with Camp Ashraf residents and their leadership in order to address their concerns. The plan now agreed to by the Iraqi government should be given a chance to work. As a first step, it calls for the camp residents to voluntarily relocate to a transit site at the Baghdad airport. In contrast to Camp Ashraf, this site would be monitored around the clock by observers from the United Nations. There, the residents would be interviewed by the U.N. refugee agency, the UNHCR, to determine their eligibility for refugee status, paving the way for their resettlement outside of Iraq. Most have filed refugee claims. A small number have returned to Iran in recent years, but many others will want to go elsewhere. Under the same agreement, the government of Iraq has made two key commitments that it must uphold. First, it has accepted full responsibility for the safety and security of the residents, from the relocation process throughout their stay at the new facility. Secondly, it has promised that nobody would be forced to go to Iran or elsewhere against their wishes. The new site is a former U.S. Marine base that can hold more than 5,000 people. It has been equipped at considerable expense to receive the residents of Camp Ashraf. It has cooking and medical facilities, space for recreational activities and provisions for women and religious observance. UNHCR has carried out a careful technical assessment and determined that the new camp meets the humanitarian standards it applies for refugee situations around the world. The process has arrived at a moment of truth. After agreeing in principle to move an initial group of 400 residents, Camp Ashraf’s leaders have hesitated in recent days to begin the move, placing new conditions that the Iraqi government rejects. The government’s patience is wearing thin, and further delay could lead to provocation and violence. I am concerned that the perfect is becoming the enemy of the good. Change is understandably unsettling for the residents, but maintaining the status quo is neither a safe nor viable option. The relocation of the camp residents is of course only a bridge to a longer-term solution — their resettlement outside Iraq. Without this, the horizon is unclear. We are calling on the international community — particularly the United States and Europe, which have long traditions of accepting refugees — to confirm publicly their readiness to accept eligible residents. Supporters in the U.S. Congress and the European Parliament could do their part by backing the relocation plan and taking the necessary steps to find a home for the residents. 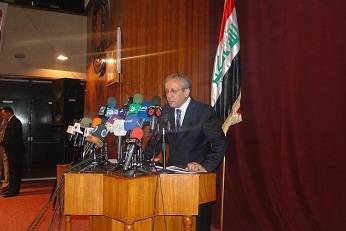 Equally importantly, we are reminding the government of Iraq of its commitments. Impatience should not lead to miscalculation. Any violent solution would be totally unacceptable. Time is running out, and lives are at stake. All concerned parties — camp residents, the Iraqi government and the international community — must do their part to ensure that the peaceful path is the route taken on Camp Ashraf. Martin Kobler is the special representative of the U.N. secretary general for Iraq. United Nations refugee and human rights officials said today that they have confirmed that the infrastructure and facilities at a new camp in Iraq for residents of the settlement formerly known as Camp Ashraf meet international standards, as stipulated in last month’s agreement on voluntary relocation between the UN and the Iraqi Government. The UN and the Iraqi Government on 25 December signed a Memorandum of Understanding (MoU) on the voluntary relocation of several thousand Iranian exiles living in Camp New Iraq, previously known as Camp Ashraf, in the north-eastern part of the country. The UN High Commissioner for Refugees (UNHCR) and the human rights office of the UN Assistance Mission for Iraq (UNAMI) said arrangements for the relocation of Camp New Iraq residents to the new Camp Liberty are progressing after it was confirmed that the facilities and the infrastructure had met international humanitarian standards. 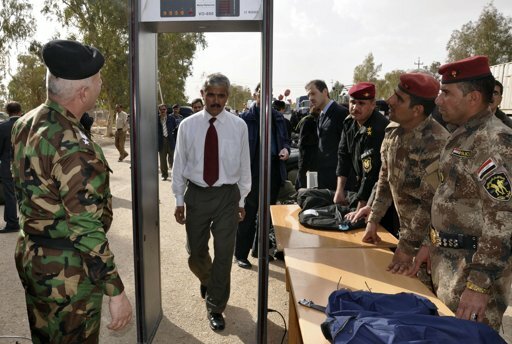 UN monitors are ready to start round-the-clock human rights monitoring during the transport of residents from Camp New Iraq, as well as on their arrival at Camp Liberty, currently built to accommodate 5,500 people. UNHCR is also ready to start refugee status determination as soon as residents start arriving in the new camp, according to a press release issued by UNAMI. The Iraqi Government will organize the modalities of transporting people from Camp New Iraq to Camp Liberty and other relevant issues with the residents. The UN stands ready to facilitate those efforts if requested, Mr. Kobler said. “The United Nations’ consistent position is that a violent outcome is unacceptable. The MoU paves the way for UNHCR to conduct the verification and refugee status determination (RSD) processes, which is a necessary first step to resettle the residents in other countries and enjoy their freedom and liberty,” he said. “Member States have a crucial role in helping to resolve the situation of Camp New Iraq residents and I do urge them again to accept residents in their countries. This is a critical contribution to the humanitarian solution we are all seeking,” Mr. Kobler added. Situated in the eastern Iraqi province of Diyala, Camp New Iraq camp houses several thousand members of a group known as the People’s Mojahedeen of Iran. BAGHDAD — The UN called on Iraq on Tuesday to organise the transport of Iranian dissidents to a new location within the country, citing progress towards the implementation of a December deal on the exiles. Under the December 25 agreement, around 3,400 Iranians hostile to the regime in Tehran will be moved from Camp Ashraf to a new location called Camp Liberty, as part of a process that aims to see them resettled outside Iraq. "It is now time for the Government of Iraq to organise the modalities of the transport from (Camp Ashraf) to Camp Liberty and other relevant issues with the residents," the UN Assistance Mission for Iraq (UNAMI) said in the statement, as "further steps have been achieved" toward the deal's implementation. The UN High Commissioner for Refugees and the UNAMI Human Rights Office "confirmed that the infrastructure and facilities at Camp Liberty are in accordance with the international humanitarian standards" as required by the deal, it said. "Additionally, UN monitors are ready to start round-the-clock human rights monitoring during the transport of residents from (Camp Ashraf) as well as upon their arrival at Camp Liberty," it said. "UNHCR is also ready to commence the refugee status determination as soon as residents start arriving to the camp" -- a necessary step before they can be resettled in other countries. Now executed Iraqi dictator Saddam Hussein allowed the rebel People's Mujahedeen to set up Camp Ashraf during his regime's 1980-88 war with Iran. When Saddam was overthrown in the US-led invasion of 2003, the camp came under US military protection, but American forces handed over security responsibilities for the site to the Baghdad authorities in January 2009. MR. TONER: Thank you, and thanks to everyone for joining us on such relatively short notice. Appreciate it. Very happy to have here with us this morning Ambassador Dan Fried, who, as you know, has taken on the additional responsibility of being our special advisor on Camp Ashraf. And he’s here today to update us on the status of the situation at Camp Ashraf as well as some details regarding the UN’s January 31st announcement that the facilities at former Camp Liberty now meet international humanitarian standards and are ready to receive the residents of Camp Ashraf. Just a reminder before I hand the mike to Dan, this is an on-the-record call and Dan will say a few words, and then we’ll open it up to your questions. So without further ado, Ambassador Fried. AMBASSADOR FRIED: Thanks, everyone, for joining. The U.S. has – welcomed – the U.S. has and continues to welcome and support the peaceful temporary relocation and eventual permanent resettlement of the residents of Camp Ashraf in Iraq. This was the heart of Secretary Clinton’s statement on December 25th last year. Our purpose is humanitarian. We welcomed the signing of the MOU last Christmas Day between the Iraqi Government and the UN. This MOU charts a peaceful way forward. Since the signing of that MOU, the Iraqi Government has worked to prepare a portion of former Camp Liberty, now called Camp Hurriya, to receive the first residents on a temporary basis, working in regular and close touch with the UN and the U.S. Embassy in Baghdad. That work has made enough progress that the UN last week confirmed that the facilities and infrastructure at Hurriya are in accordance with international humanitarian standards. 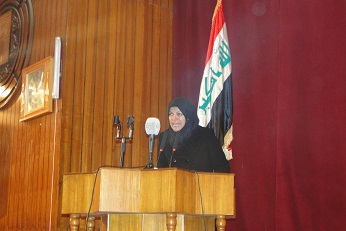 The UN recommended that the Government of Iraq and the Ashraf residents discuss details of the first move to Hurriya. Yesterday, an Iraqi representative met with the leadership of Camp Ashraf to discuss these details. The UN was present as facilitator. These discussions, according to all of our information, were businesslike and productive. The United States welcomes this progress, and we look forward to the first residents moving from Camp Ashraf to Camp Hurriya in the immediate future. In any move of this kind and in the early days, once people are settling into Hurriya, problems may arise, of course. Patience, goodwill, and willingness to resolve logistical issues in a practical way will be critical. The United States, through its Embassy in Baghdad and my office, will continue to support the reasonable, prompt resolution of issues that arise, cooperating with the UN and the Iraqi Government and in contact with the residents at former Camp Ashraf and, of course, Hurriya. The residents of Camp Ashraf must make the decision to start this relocation process. Camp Ashraf is no longer a viable home for them. They have no secure future there. On the other hand, the Government of Iraq has committed itself to the security of the people at Camp Hurriya and is aware that the United States expects it to fulfill its responsibilities. The UN has committed itself to stationing monitors at Camp Hurriya on a round-the-clock basis. In addition, as Secretary Clinton made clear in her statement, the U.S. will visit Hurriya on a regular and frequent basis. Camp Hurriya is intended as a temporary transit facility to support the safe departure of former Camp Ashraf residents from Iraq. In this regard, while the UN and the UNHCR are doing and will continue to do their part, governments in Europe and beyond and the United States must do our part as this process unfolds. Once at Camp Hurriya, some people may decide to return to Iran, but on a voluntary basis only. Several hundred already have in the past. Others may have citizenship or valid residency status in third countries and should be able to return to their homes promptly. Still others may qualify for refugee status under UNHCR’s mandate. The residents who relocate to Camp Hurriya will need to be considered individually. To make our own determination about any specific individual, the United States needs to know more about them, and such information can be obtained only after they move to Hurriya and participate in the UNHCR’s status determination process. In short, it is time for the MEK to make the decision to start the move out of Camp Ashraf to Camp Liberty-Hurriya from where they can begin new lives outside of Iraq. A peaceful solution, no matter what the circumstances, is the only acceptable solution, but it is time to move forward. Now, with that, I’ll take your questions. And – oh, I should add that the UN head of mission in Iraq Martin Kobler and I were in Europe late last week discussing all of these issues with the European Union, with European parliamentarians, and I met separately with the French Government to discuss the way ahead. So this is an issue very much in motion. So I’ll now take your questions. MR. TONER: Great. Thanks, Dan. And, Operator, you can go ahead and tee up the first question. OPERATOR: Yes, thank you. If you would like to ask a question, press *1. To withdraw your request, press *2. One moment for the first question. The first question comes from Matthew Lee of AP. Your line is open. QUESTION: Hey, Dan. Can I ask you what is prompting you to make this call today to tell the MEK that it’s now time? Has there been some new development where they’ve indicated they’re stalling again? AMBASSADOR FRIED: I wouldn’t say that there’s a new development indicating stalling, but the reason I’m emphasizing this is because yesterday’s – last week’s determination by the UN that Camp Liberty was ready and yesterday’s practical discussions of the way ahead means that the time is now for the MEK to make its decision. It’s got to move forward. And it’s – all those who wish the residents of Ashraf a peaceful future outside of Iraq can help by encouraging the MEK to make the decision it needs to make. QUESTION: Okay. But I thought – didn’t a limited number already move? AMBASSADOR FRIED: That was an offer. QUESTION: It was an offer. 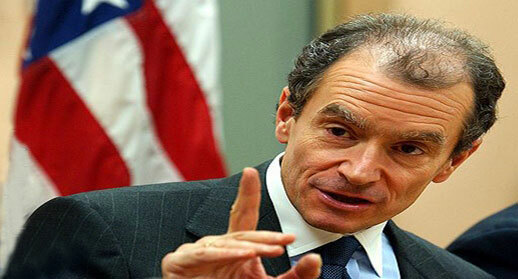 AMBASSADOR FRIED: No one has moved from Camp Ashraf to Camp Liberty because Camp Liberty was not yet ready to receive. AMBASSADOR FRIED: So this was not a case of stalling. 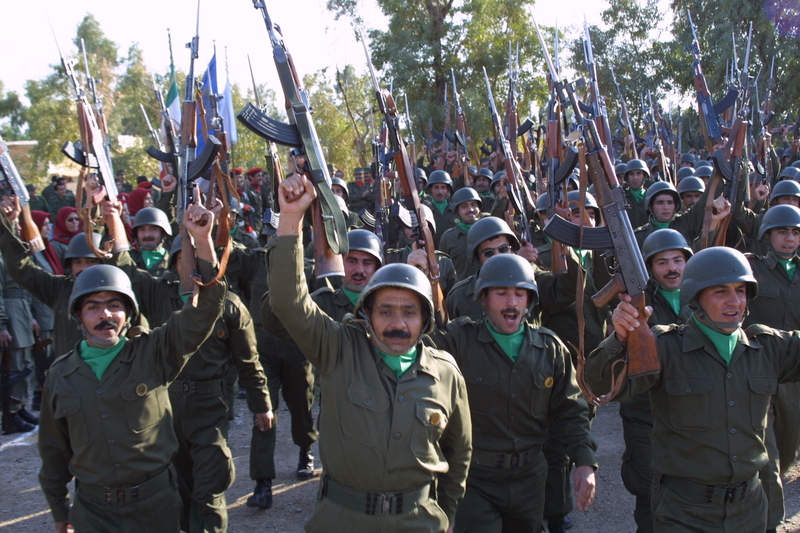 It was a case of the Iraqis having to get Camp Liberty up to speed. It now is. And that movement needs to start taking place. QUESTION: All right. And who determined that it was okay, that it was habitable now? The U.S.? AMBASSADOR FRIED: Now, the U.S. has looked at it also, but the determination was made by technical experts from the UNHCR. The UN issued a statement last week, which is readily available, making clear that the infrastructure and facilities are now up to speed. OPERATOR: And I show no further questions at this time. MR. TONER: All right. We’ll give it a couple of seconds, but – for you to weigh in if you’ve got any additional questions. AMBASSADOR FRIED: Well, I’ll take that as a sign that my presentation was comprehensive and answered all possible questions. MR. TONER: Very good. Operator, last chance for our contestants. OPERATOR: We have a question from Ian Duncan*. Go ahead. QUESTION: Hi, there. I’m calling from the LA Times. I just wondered to what extent the FTO designation hinders the U.S. role in the process and if there are any plans to change that designation. AMBASSADOR FRIED: My office is not part of the FTO designation process. Obviously, I’m aware that that is a decision which the Secretary will make. We are – our interest in a humanitarian solution for the people at Camp Ashraf is quite independent of that decision. And we are able to move forward even now without that decision having been made. QUESTION: Okay. Thanks very much. OPERATOR: Thank you. Next question comes from Andrew Quinn with Reuters. Go ahead. QUESTION: Hi. I have a couple of quick questions. One was: I was wondering if there has been any agreement on the process of moving people. I understand that there was some dispute over whether or not they’d be able to take their own vehicles, how they would get from Ashraf to Liberty. Do you know if that has actually been resolved and how they would get from A to B? And the second question is: Earlier – last month, actually – and Mrs. Rajavi gave a speech in Paris where she said that the United States would hold full responsibility for all Ashraf members – for the safety of Ashraf members while they’re in Iraq. Is that a responsibility that the United States is now willing to accept, given the status of Camp Liberty? Thank you. AMBASSADOR FRIED: First, the issue of the organization of the convoys was, I understand, discussed yesterday in some detail between the Iraqi Government representative and the Camp Ashraf leadership. I also understand that some good progress was made. And that – we welcome that. We welcome that. With respect to the U.S. responsibility, Iraq is a sovereign country. Iraq has the responsibility for the exercise of that sovereignty, and they know that a peaceful solution is the only acceptable one. The U.S. is not the sovereign in Iraq. We are doing our best, and we are committed to trying to support a peaceful relocation of the people at Ashraf over to Camp – old Camp Liberty, and then support the UNHR efforts to get them out of Camp Liberty and out of Iraq. We’re going to try our best. The responsibility for the next decision rests with the MEK. They need – the Iraqi Government has done, so far, what it committed to do; that is, it’s got Camp Liberty up to speed. The MEK and the residents of Ashraf, for their part, held a constructive set of discussions yesterday, and we welcome that. And now the decision has to be theirs to start this process and to work with all of us so that the shared objective, shared by all the sides in this – the UN, the Iraqi Government, the people at Camp Ashraf – for a peaceful solution. And the departure of these people from Iraq is up to them. A peaceful solution is at hand, but they’ve got to take it. MR. TONER: Great. Any more questions? OPERATOR: There are no further questions at this time. MR. TONER: Okay. Well, we’ll take that for a sign that you’re all fully briefed on this. Anyway, thank you very much, all of you, for joining us today. And thanks to Ambassador Fried for also taking time. AMBASSADOR FRIED: All right. Well, thanks a lot, everybody. And I’ll keep – I’ll – we can do this again when the news justifies it. MR. TONER: Great. Thanks, all.